Happy December everyone! Is it us, or does it feel like this year has flown by? We have so many fun things planned for this month, but we're going to kick off the last month of the year with Book Club! 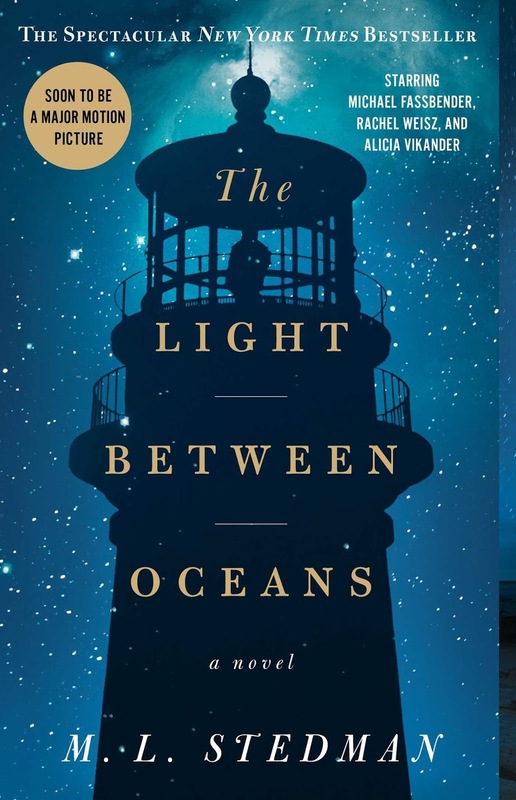 I know I probably sound like a broken record, but I'm still plugging away at The Light Between Oceans. It is really good and I can't wait to see how it wraps up, but it is taking me forever to read because I've spent a lot of my reading time brushing up on 4th grade literature and non-fiction. Yep, I could probably tell you anything you want to know about Little Mama's novels (since I've been helping her with preparing for her book tests) or Christopher Columbus and the other explorers they are studying right now. As for the time to read my books, well right now those moments are just far and few between. November was another crazy month, and while I had The Light Between Oceans ready to go to read along with Carrie Beth, I just couldn't pull the trigger. I needed something light and easy to read so I kicked off the month with a suggestion from one of our favorite bloggers. Shay from Mix & Match Mama did a review for The Hating Game by Sally Thorne and it seemed like just what I was looking for. 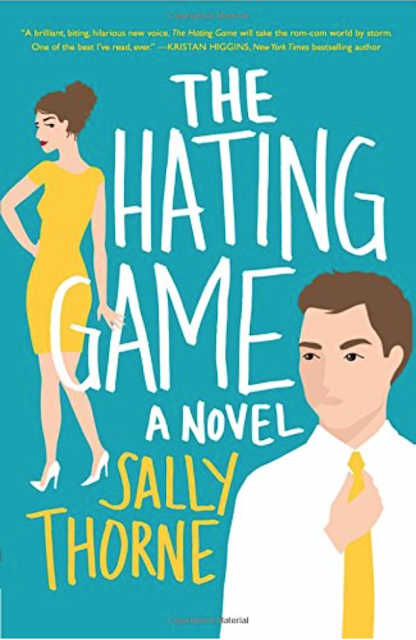 It is about two co-workers who hate each other and find themselves competing for the same job. The story follows them along the weeks leading up to their big presentation for the promotion, and flashes back through their relationship to explain why they "hate" each other. It was a super cute fun read, and I read it just a few days. And just as Shay warned, it might be a little on the risqué side at times. 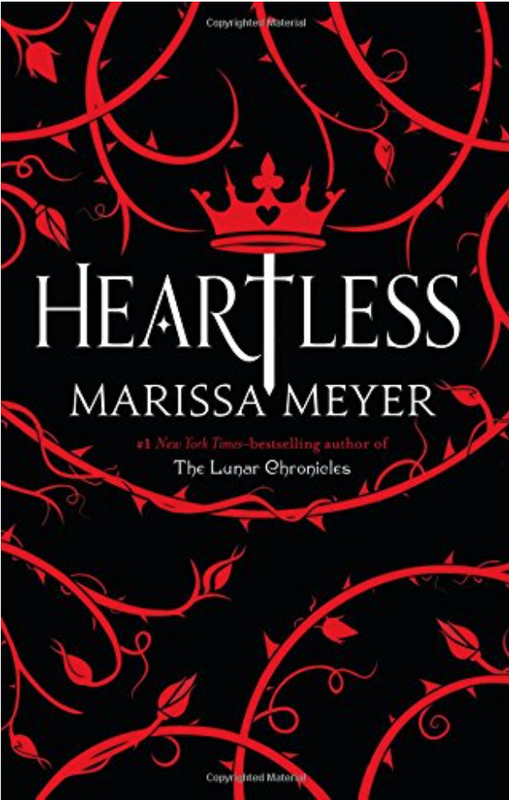 Heartless by Marissa Meyer was up next, and let me just disclose up front I am not quite sure what made me click on this to add it my Kindle...but I'm glad I did. I am back to getting up several times a night with Baby Cute (Gah! She's almost ten months old! ), so while we rock, I read to stay awake. This was a middle of the night purchase, and all I remember was seeing it was a best seller and it was about the Queen from Alice in Wonderland. I was intrigued. It falls in the Young Adult category of reading - so, easy to read! Again, just what I was looking for. The story follows Catherine, a young girl in Wonderland who comes from nobel background, but craves to open a bakeshop with her maid. Along the tale you realize that the sweet, beautiful, and calm Catherine is destined to be the Queen of Hearts. A little love, a little heartbreak, and a lot of fun with some of the characters you know from Alice in Wonderland, I could not put Heartless down! I loved Meyer's take on how the characters in Wonderland came to be. Last up was a new book from an old go-to series that I love. 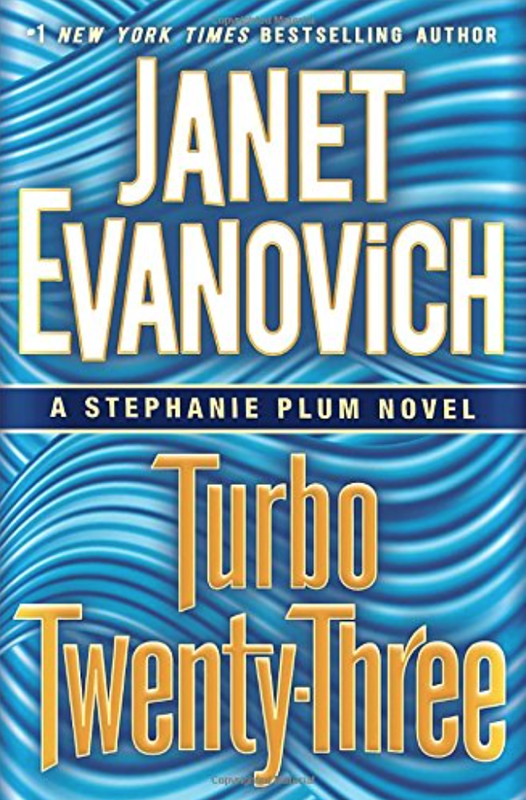 Janet Evanovich mysteries are just so fun, and I love her humor. 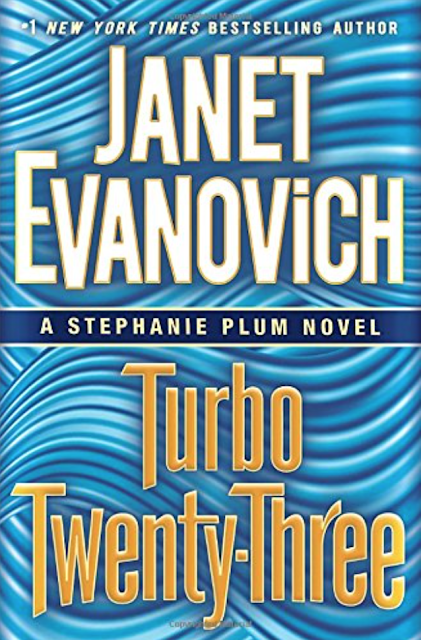 Turbo Twenty-Three proved to be just as funny as the rest of the series, and was the perfect light read to close out my November. If you are looking for a mystery series that is kind of light and fun at the same time (mixed with a little romance, too), then this is one to pick up. Hoping that with Christmas break coming up soon I will be able to squeeze in a bit more time to read! Like many others I was sitting on my couch Tuesday night at 9 PM excited to watch the first episode in the new season of Fixer Upper. I love that show and find Chip and Joanna Gaines so entertaining. 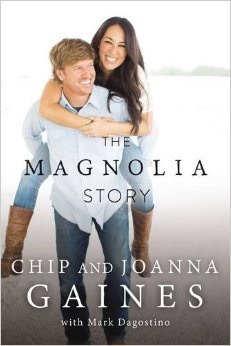 I just love their story and their commitment to their family and would love to read their book, The Magnolia Story. Okay, normally for the holidays I love to pick up a fun Christmas themed book to read. 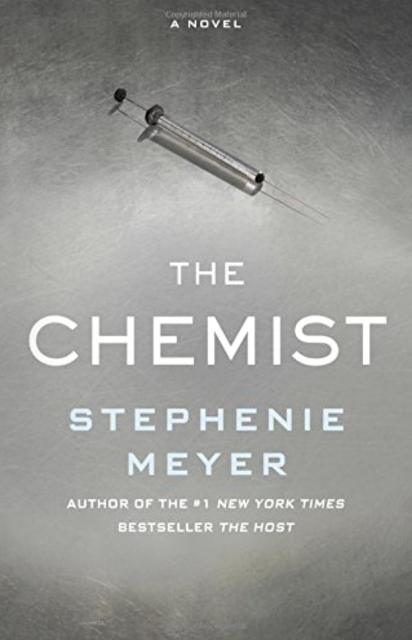 I was clicking through options and then saw that Stephenie Meyer - author of the infamous Twilight Series - came out with a new book. I am in! Like the rest of the world, we were all about some Edward and Jacob back in the day, so I was so excited. 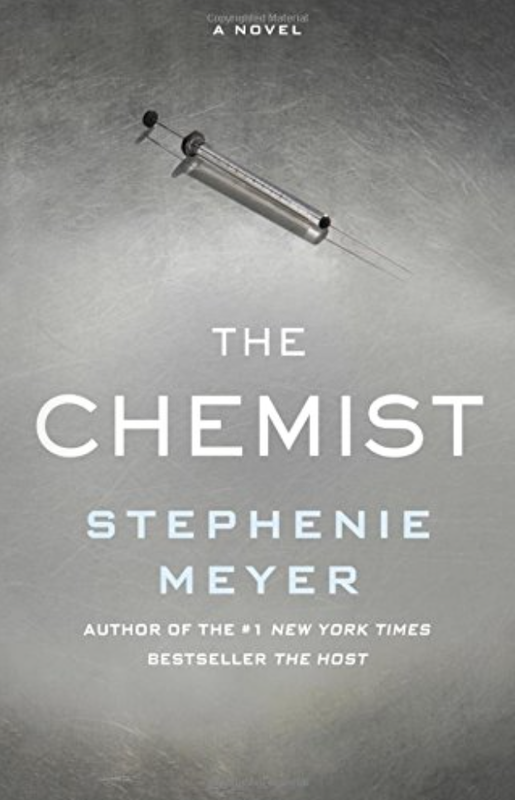 I'm a few pages into her latest, The Chemist, already, and then I realized this might be drastically different from her previous books. So far, I'm totally hooked though! Then I'm all in for some good wine drinking hot chocolate drinking and a holiday read or two.